All the methods involve face-to-face interviewing of elders, harvesters of traditional resources, and knowledge holders. Each method is distinct and useful for documenting a different aspect of the over-arching story emphasized by virtually all indigenous communities: ‘The Land is Important to Us’. This is why it was Canadian aboriginal organizations, in large response to the establishment of a federal land claims office in the early 1970s due to changing case law, that developed the methods listed above. However, despite that legalistic start, use-and-occupancy research is currently employed by First Nations, Inuit and Métis across Canada for many different purposes. A few of these include land claim negotiations with governments, treaty litigation, environmental impact assessments, impact benefit agreements, bilateral negotiations with industry and multilateral planning tables. The president of the company, Terry Tobias, has now been working with communities doing this research for 37 years, long enough to help refine methods and establish best practices. He started this work in 1982 and actively pursued an informal apprenticeship with the pioneers of the earlier use-and-occupancy methodologies. Terry started training his own associates in 2005, and from the outset all of them have held themselves to the highest standards of respect, professional comportment, work ethic and commitment to excellence. Tobias and Associates was incorporated as Living Proof Consulting Inc. in 2011. Our decades of experience with use-and-occupancy projects and our commitment to excellence allows us to realistically demand of ourselves that every community with whom we work is left with a legacy piece of research. In other words, the quality of the research is such that people will be using it to positive effect for years and decades into the future, for a wide variety of purposes. ‘Living Proof, The Standard of Excellence’. Indigenous organizations and their consultants often do not realize that excellence in research involves making an important choice between two options; that there are unavoidable trade-offs regardless of which option is selected. Sometimes a community’s number one priority is to quickly obtain data of a sufficiently high standard that makes the resulting information bullet proof in court or at negotiations. But sometimes the top priority is to obtain internal capacity and to have the data collection done by community members. Based on years of experience both doing research and training local people to do their own research, Tobias and Associates can assist leaders in understanding the tradeoffs involved in choosing one or the other of the two primary objectives. And regardless of the decision, the Tobias team can deliver successful outcomes to meet the community’s information needs. We take our company motto seriously: ‘Living Proof, The Standard of Excellence’. The list of indigenous entities, both Canadian and Australian, for whom we’ve delivered product or for whom we’ve worked in an advisory, training or teaching capacity is extensive. Tobias and Associates has collaborated with some 90 different communities and tribal organizations to see well over 100 major projects through to successful outcomes. 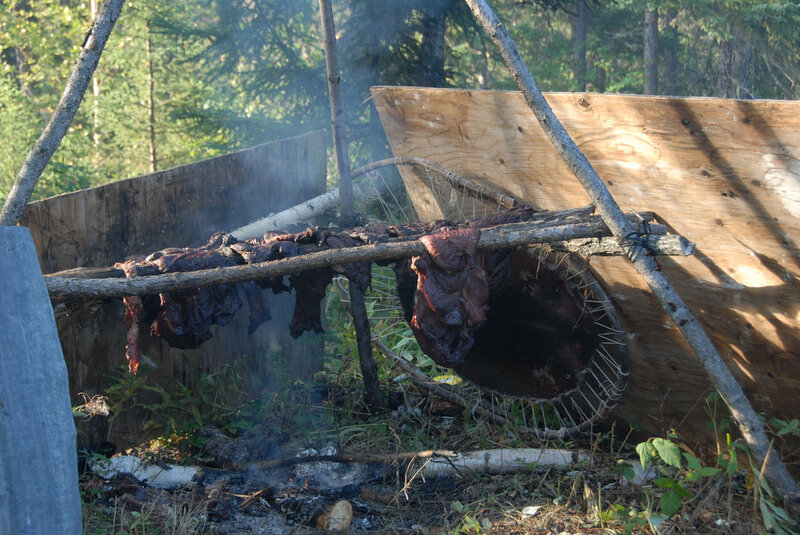 An example of our research product is one of the outcomes of a five-year program (2010-2015) of research by the Kitchenuhmaykoosib Inninuwug (KI), a remote Oji-Cree community in north-western Ontario. They have just recently released a preliminary version of their web-based KI Cultural Atlas (www.ki-culturalatlas.ca) for broad public viewing. The Atlas, still under development, currently showcases five research projects undertaken by Tobias and Associates: use-and-occupancy map survey; spatial aspects of traditional ecological knowledge workshop; elders’ field trips program; travel-route map survey; and place-name map survey. Living Proof ™ - The Standard of Excellence.